Dodecahedron Books: Are Barnes and Noble, Chapters Indigo and the Big Five Publishers “Value Traps”? 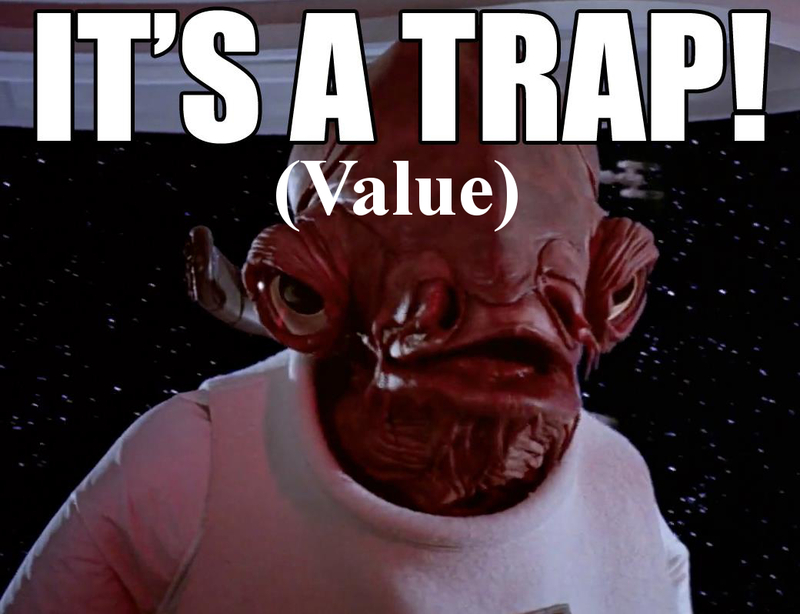 Are Barnes and Noble, Chapters Indigo and the Big Five Publishers “Value Traps”? A recent column in the Globe and Mail Report on Business by George Athanassakos (a business professor at the University of Western Ontario) discussed the concept of the “value trap”. I found it quite fascinating, especially as it relates to the book publishing and book selling business. 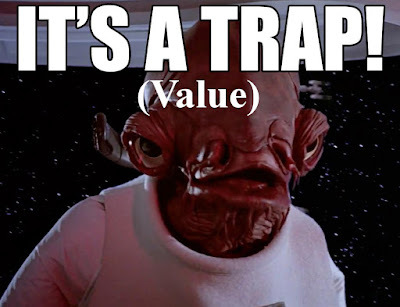 The question comes to mind, are the big legacy companies in the industry “value traps”? · Secular – a steady change over time, rather than cyclical (usually either growth or decline). · Structural – something is going on that is fundamentally changing the activity. · Permanent – the old way of doing things is not likely to be coming back. 1 - A company with poor management, particularly if it operates in a market with low barriers to entry. Low barriers to entry means that competitors can set up in business relatively cheaply. That certainly seems to apply to the current book market, both publishing and selling. With e-books, publishing and marketing to a large segment of the reader market is now easy and has very low barriers to entry. Physical bookstores are still a barrier for Indies (except print on demand via Amazon and other internet sites), as it is difficult to break into that market – traditional publishers pretty much have a lock on that. But as time goes on, fewer and fewer people rely on bricks and mortar stores, so that advantage is declining for publishers and bookstores alike. He goes on to say that poor management includes “managers who lack industry experience and relevant background”. That could clearly be said of Barnes and Nobles latest CEO, who comes from outside the book world, though he may help them to transition to a largely non-book retailer. After several years of paring square footage, Indigo is planning new stores in Vancouver and Toronto and will double warehouse capacity to make room to sell more books and goods online. Professor Athanassakos also warns against “managers who create complex corporate or ownership structures, and are extremely active with mergers, acquisitions or divestitures…”. There certainly seems to be a lot of that in the book business – the biggest example being the merger of Penguin and Random House. Another example is Barnes and Noble, who recently split off its core bookseller business from its university bookstores. 2 - A poor company even if management is good. · a convoluted organizational structure. · bad (non-transparent) accounting practices. · bad business models or companies in industries in secular decline, due to technological or customer preference changes. The last point certainly applies to companies in the publishing and book selling industry. I am not sure about the others – writers who have contracts with traditional publishers would probably agree with “non-transparent accounting practices”, but that has been the case for a long time, even when the industry was unchallenged. 3 - A company with a bad strategy. This seems to apply more to publishers than book retailers lately. As noted above, the biggest merger recently was Penguin and Random House. What were the reasons for the merger? Note that the CEO of Random House uses pretty well the same buzz phrases as the professor warns against.